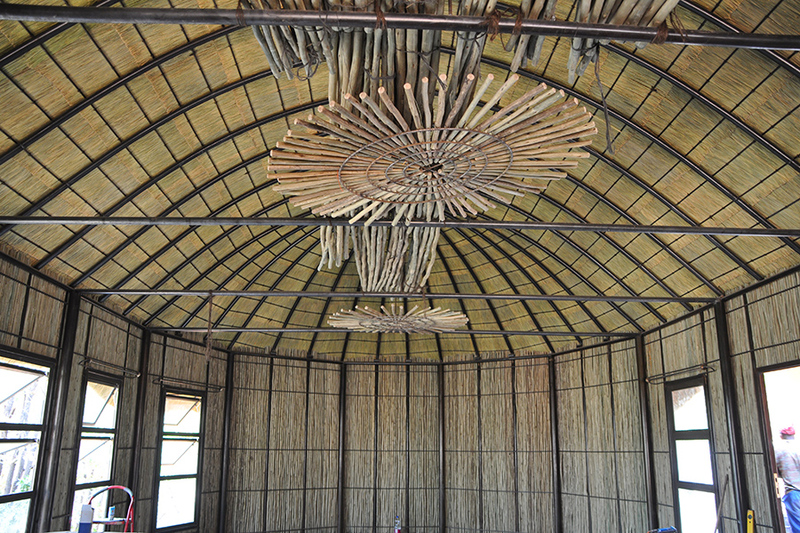 The Scents of Namibia Visitor’s Centre, that began construction on September 4, 2013 has been completed. 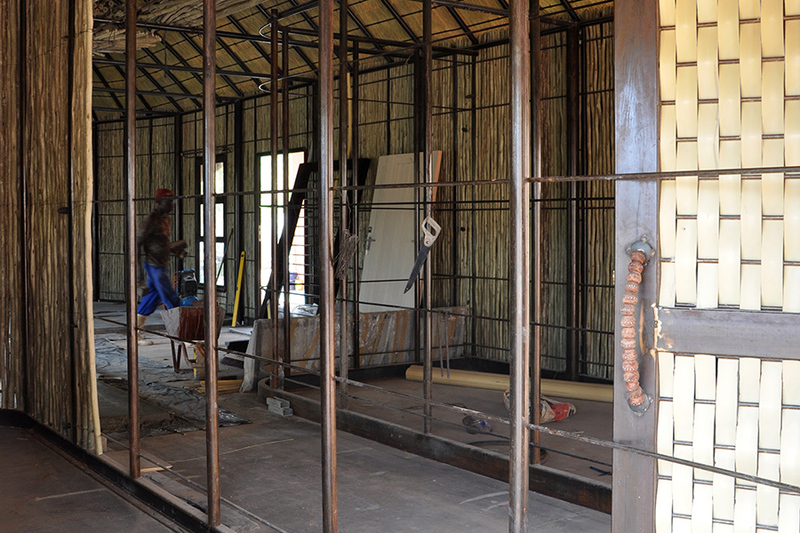 Designed in a traditional Himba homestead style building, the Visitor’s Centre will offer tours daily which will describe and demonstrate the happenings at Opuwo Processing Facility. 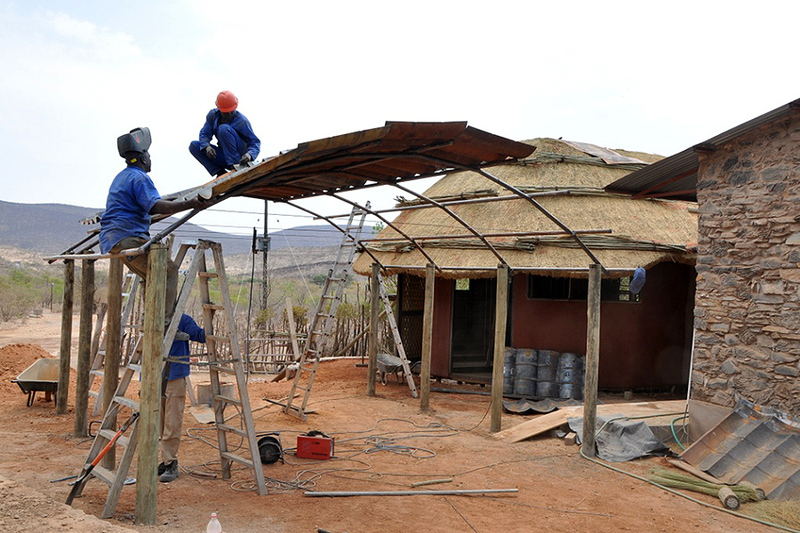 The official opening will be 27 February 2014 and we invite everyone to come and visit this amazing centre! 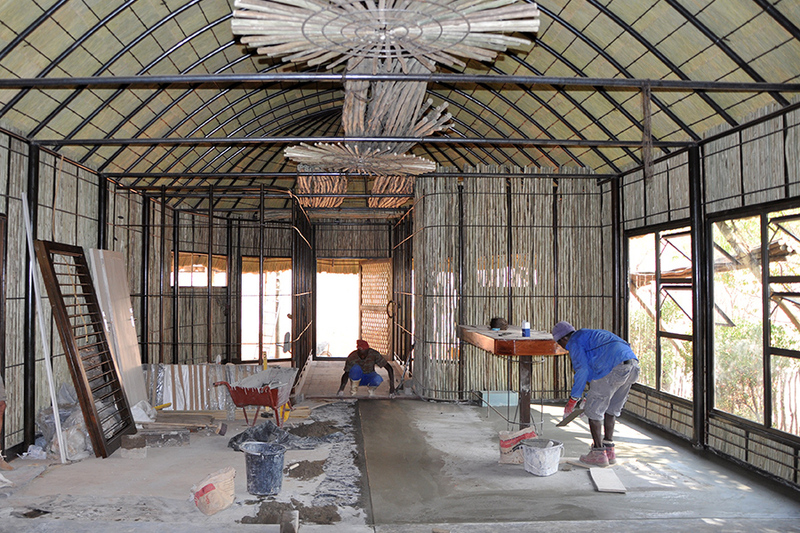 On September 23rd, the first board meeting of the Kunene Conservancies Indigenous Natural Products Trust occurred at Onjuva in Orupembe Conservancy. The registration of the trust, financial reports of Opuwo Processing Facility, the Opuwo Processing Facility business plan, the Chairman of the trust’s report, marketing, Scents of Namibia Visitor’s Centre construction, and a benefit distribution plan were all discussed. All items on the agenda were accepted by the board and no additional matters were brought to order.